The highly competitive field of sports management provides sports minded people with a head for business opportunities for exciting careers in the world of athletics. Sports management professionals work as team managers, athletic directors, sports agents and recruiters, marketing and PR professionals, and more. Find out more about the career options in chapter one of this helpful guide, titled “What is Sports Management?” Also learn about what an average day is like for sports management professionals, types of companies and organizations that hire people in the industry, and what kind of degree to consider pursuing. This guide also has great information about the average salaries of different types of professionals and what the future holds for people in the athletic industry. Readers will also learn a lot about how to grow as a sports management professional (chapter seven) and ways to get a jump start on the job hunt (chapter ten). Every chapter of this guide provides several helpful links so you can learn more about the field of Sports Management. Chapter 1: What is Sports Management? 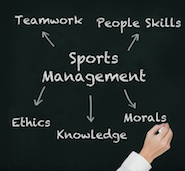 People who work in sports management are interested in both sports and business. In school, sports management professionals learn about finance, marketing, law, and business as they apply to the world of sports. After completing their education, graduates can work in amateur, collegiate, or professional athletics in just about any type of sport and often find jobs as managers, scouts, coaches, and marketing and public relations specialists. Sports management is a great opportunity for many professionals to have very successful careers because the athletic industry generates hundreds of billions of dollars a year. Click on the links below to find out more about what sports management can offer a sports and business enthusiast. As glamorous as it might seem thanks to films such as Jerry McGuire, sports management jobs are completely unlike the work of professional athletes. As the professionals behind the scenes, they don’t spend very much time in the spotlight. Rather, they are busy taking care of business-related activities, such as making deals or negotiating trades. People who coach spend more of their time actually working with players, and are often interviewed by sports networks. Agents spend a lot of their time scouting for players to sign, representing their clients’ interests, and helping them get drafted. Those in sales and marketing focus on how to make their company money – whether that’s advertising their sports apparel products or selling season ticket packages. Look at the resources below to find out exactly what it takes to work in these different areas of sports management. 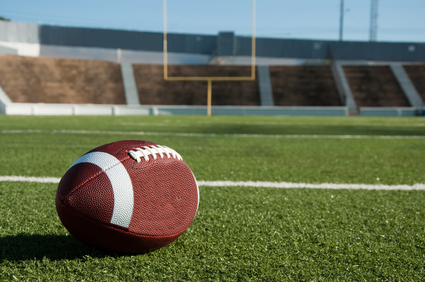 Sports Marketing Jobs: Do You Have What it Takes? Sports Management – So You Want to Be a Player? 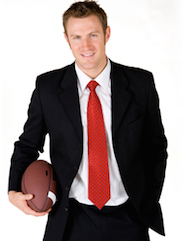 There are a lot of different companies and organizations that hire sports management professionals. Perhaps the most obvious type of company is that of sports teams themselves. Amateur, collegiate, and professional sports teams all need managers, marketers, public relations specialists, agents, and coaches. But other companies hire people with sports management degrees too, including sports networks like ESPN, athletic apparel companies, sales and advertising companies, marketing and public relations firms, and other organizations. See the links below to get more details about all your different options regarding where you can find a job in sports management. What Jobs Can You Get with a Major in Sports Management? What Can I Do with a Major in Sports Management? There are many different degree programs for sports management professionals, and students can enroll in colleges that offer everything from certificates to master’s degrees. Certificates are great for either continuing your education or preparing for an entry-level career such as working at a health club. Whether a student will need a bachelor’s or master’s degree will depend on exactly what type of job they are after in the sports industry. Bachelor’s degrees will often suffice for certain jobs in public relations, marketing, sales, or finance, but those who have set their sights on upper-level management jobs – such as general manager for a sports team or executive producer at a sports network – will probably need master’s degrees. The links below have some great information about everything from how to pick a program to what degrees are worth it. Is a Master’s Degree in Sports Management Worth It? What Do Sports Management Majors Learn? 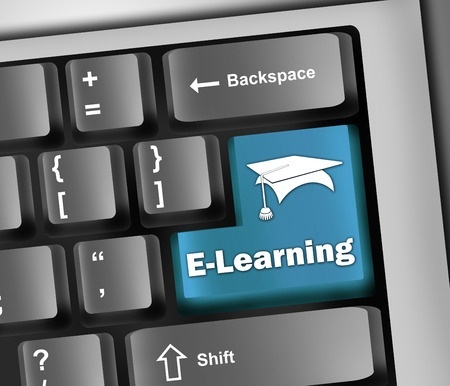 In the 21st century, more and more schools are offering programs online. In fact, some schools are entirely online now, choosing to cater to distance learners and offering course materials in electronic formats. There are some degrees that are difficult to learn online. For example, nursing students might find it hard to learn about collecting blood or taking blood pressure without some hands-on training. However, sports management subjects can, at least in large part, be taught over the internet degrees as they focus on topics such as finance, business, law, marketing, sales, and public relations. The resources below serve as a great starting point for people interested in online programs – you can even sample open courses for free. Chapter 6: How Much Do Sports Management Professionals Make? Although sports management professionals make a variety of salaries along a spectrum, one thing is for certain: you aren’t likely to make more than the athletes themselves! That being said, just because sports management professionals won’t make millions of dollars doesn’t mean they can’t live comfortably. The biggest salary opportunities are for those in the upper level administrative tracks – sports team owners, CEOs and COOs, presidents and vice presidents, and executive directors. Lawyers can also make good money, and those in public relations, customer service, marketing, or finance will make somewhat less. Those who work in the public sector or in education will have the lowest income potential. Get all the details by clicking on the links below. What’s the Payoff in Sports? Getting promotions and growing within the sports management profession requires mastery of all the essential skills that the job requires – things like people skills, good communication, teamwork, decision-making skills, organizational skills, and sound judgment. You also, of course, need to have passion and a comprehensive knowledge of sports. Getting an advanced education can help too, for instance, going back to school for a master’s degree or earning a certificate in a specific aspect of the industry. 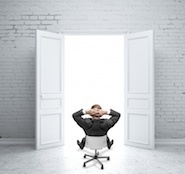 Climbing the ranks to the top of any given career track will also require making strategic job decisions, starting with the entry-level job you choose to take. For more about how to reach your full potential in sports management, look at the links below. When it comes to professional associations for sports management professionals, there’s just about something for everyone. Organizations exist at both the local and national level, and some associations are even international. 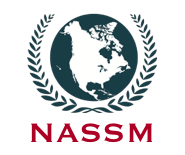 There are some organizations that serve broad groups, such as the North American Society for Sports Management, and others that serve specific groups, such as the one just for black sports agents. Whether you work in sports marketing, are an educator, or work as a college athletic director, there’s an organization for you. These associations often provide a number of benefits, from access to conferences to special publications to networking opportunities. The succinct way to explain the future outlook of sports management jobs is to say that the industry is growing – certainly faster than many professions in the United States. In the U.S., the sports industry accounts for more money each year than restaurants, educational institutions, and many other industries. There are plenty of opportunities for managers, marketers, lawyers, agents, and other professionals. The industry is subject to the vicissitudes of the economy, however, as fewer people go see sports games or purchase sports products during a recession. And because sports management is such a popular major for students, graduates may find that there is a lot of competition for jobs. Check out the links below to get a more comprehensive look at the industry’s future outlook. When looking for a job as a sports management professional, you can start in the same place you would for any other profession – job websites like CareerBuilder, Monster, and Indeed. However, there are a lot of other resources out there on the internet that specifically cater to sports managers, marketing specialists, coaches, and agents. There are a number of sports blogs that post resources for hopeful sports managers, and organizations like the NCAA and ESPN often post job listings. There are even websites that can help in the process of finding an internship, which is often a necessity for breaking into the industry. Take a look at all the websites below to find out more. Copyright © 2019 Sports-Management-Degrees.com / All rights reserved.